Shirts With Random Triangles: NBC Deconstructs "The Wizard Of Oz" In "Emerald City." Here's the Peacock Network's description of the show. "Swept up into the eye of a tornado, 20-year-old Dorothy Gale (Adria Arjona) is transported to another world - a mystical land in great peril, where an all-powerful wizard has forbidden magic and rules over many kingdoms. This is the fabled Land of Oz in a way you've never seen it before, where lethal warriors roam, wicked witches plot in the shadows and a young girl from Kansas becomes a headstrong heroine who holds the fate of their world in her hands!!! David Schulner, Shaun Cassidy and Matt Arnold serve as executive producers. "Emerald City" is a production of Universal Television." 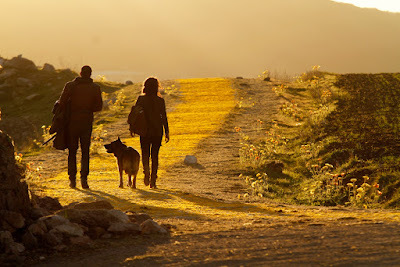 The new images features Dorthy (Adria Arjona, Person of Interest), and Lucas (Oliver Jackson-Cohen) as a very reimagined version of The Scarecrow. 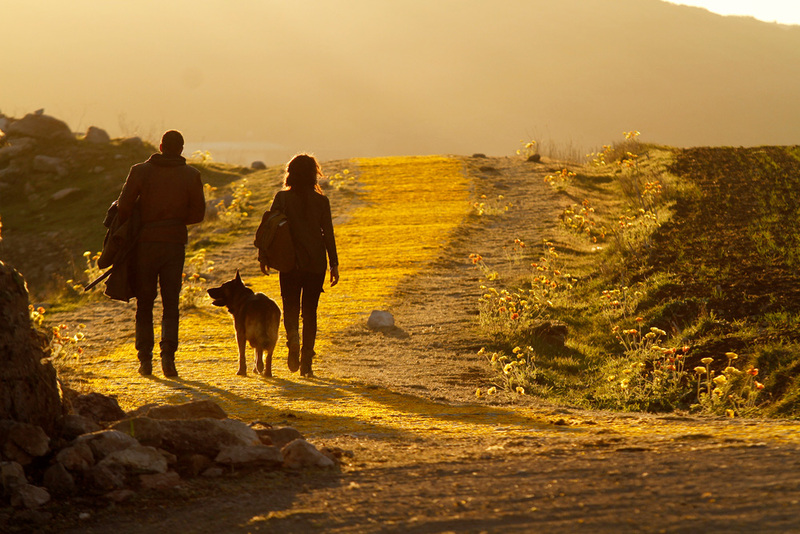 The two are seen walking down The Yellow-Brick Road in one photo with Dorthy's not-so-little-dog-anymore, Toto (now a "NYPD K9 dog"). A third image is of Florence Kasumba as East, as in The Wicked Witch of the East. For the record, West, the presumed Wicked Witch of the West, is played by Ana Ularu. The Emerald City cast also includes Vincent D'Onofrio (Daredevil's Wilson Fisk), Gerran Howell, and Isabel Lucas. NBC originally greenlighted Emerald City in 2014, but pulled in August of that year. The project was revived in April of 2015.